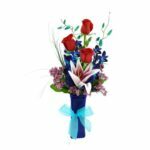 A fresh bouquet of roses is a great way to show your loved one in Utah how much you care about them. 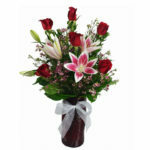 In fact, it’s no secret that roses are the most popular floral arrangement in the United States. But did you know that roses typically only have a lifespan of about seven days once they are cut? Luckily, by following these next few tips, you can optimize the life of your roses and keep them looking fresh and beautiful for as long as possible. 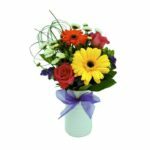 Firstly, while gently handling the roses, be sure to remove any and all of the leaves that will be below the water level of the vase. 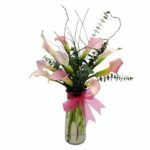 Cut the stem at an angle, at least 1-inch from the bottom, and place it in your vase. Leaves or foliage of any kind will cause bacteria in the water and clog the newly-cut stem. When removing foliage from a rose, clip off the leaves, rather than pull them off. Pulling off the leaves may scar or cut into the bark of the rose which will not allow for proper water absorption. 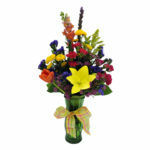 Once you’ve done that, fill your vase with warm water and add a floral preserve. 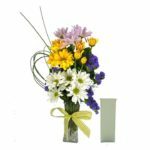 Many florists will include a packet of floral preserve with your purchase of a rose bouquet, but there are also several different ways to make your own, including a highly diluted mixture of lemon juice, water, sugar, and bleach. 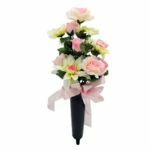 Now that you’ve taken those steps, you can then simply arrange your roses in the vase however you like and in whatever way is visually pleasing to you. Next time you buy roses for your Utah sweetheart, keep these tips in mind and know that by following these very simple steps, it’s certain that your roses will be looking fresh and beautiful for as long as possible.